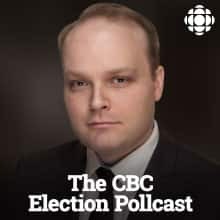 On this episode, Éric Grenier talks to reporter Kerry Campbell in Prince Edward Island about Tuesday's provincial election. Then, the CBC's Elise von Scheel is in studio to recap the results of the Alberta election. Download Can the Alberta NDP repeat its 2015 victory? Download Six months of Doug Ford "moving fast and breaking things"
Download Can the Bloc bounce back? Download Carbon taxes! Byelections! Referendums! Vassy Kapelos and Chris Hall join Éric to look ahead to next year's federal election and Jacques Poitras breaks down the latest in New Brunswick ahead of next week's sitting of the deadlocked legislature. Karl Bélanger, former national director of the NDP, discusses what the results of Quebec's election mean for the future of politics in the province, and the CBC's Catherine Cullen and Katie Simpson chat about what they're watching on Parliament Hill. Download What's next in Quebec? Éric Grenier is joined by Philippe J. Fournier of Qc125.com to talk about the upcoming Quebec election. Chris Hall and Éric Grenier discuss the election in New Brunswick and the vote to come in Quebec. Christian Bourque of Léger breaks down the latest numbers in Quebec, and the CBC's Catherine Cullen discusses the first days of Maxime Bernier's People's Party. Jacques Poitras breaks down the leaders' debate in New Brunswick and Chad Rogers tells us what goes into debate preparation. Jonathan Montpetit breaks down the first two weeks of the Quebec election campaign and David Coletto of Abacus Data discusses Canadians' views on NAFTA and TransMountain. J.P. Tasker discusses the Conservative policy convention in Halifax and the impact of Maxime Bernier's split from the party, and Jacques Poitras reports from the campaign trail in the New Brunswick provincial election. Christian Bourque of Léger sets the table for the provincial election in Quebec and Janyce McGregor reports from the federal Liberal cabinet retreat in Nanaimo, B.C.